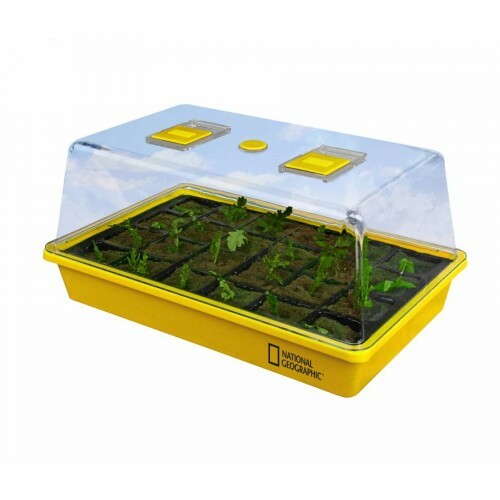 If you have no green thumb so far, maybe you will get one with help of the NATIONAL GEOGRAPHIC greenhouse. 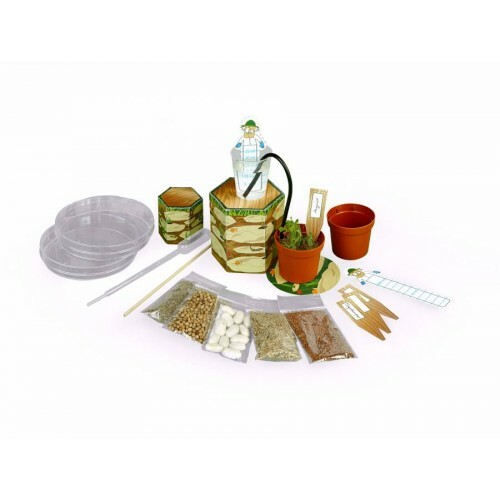 You cannot just plant flowers and herbs. 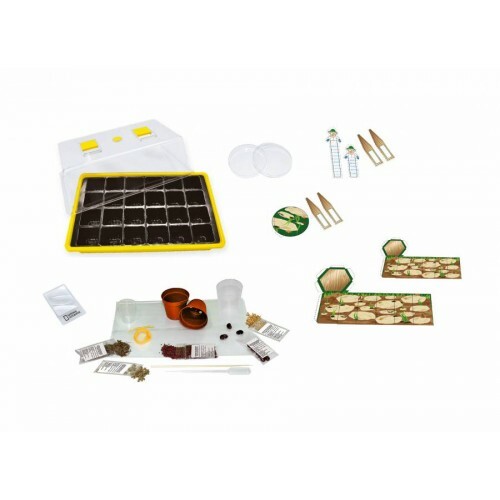 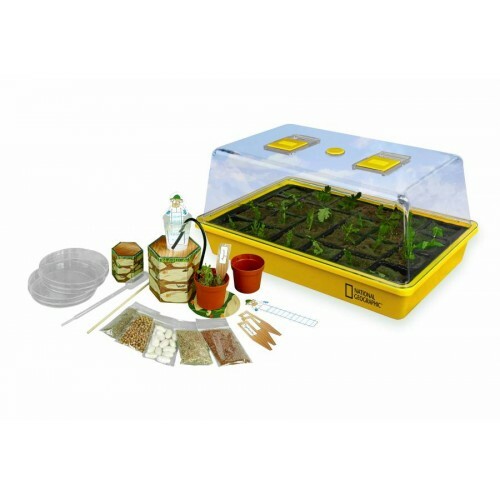 Additionally with the greenhouse and a few seed pouches the experiment kit contains some more accessories for conducting 12 different experiments. 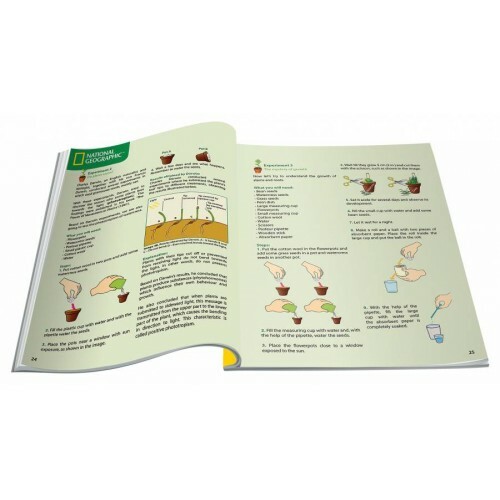 An illutstrated instruction manual tells you step by step how to proceed.